A good development partner will guide you to success. 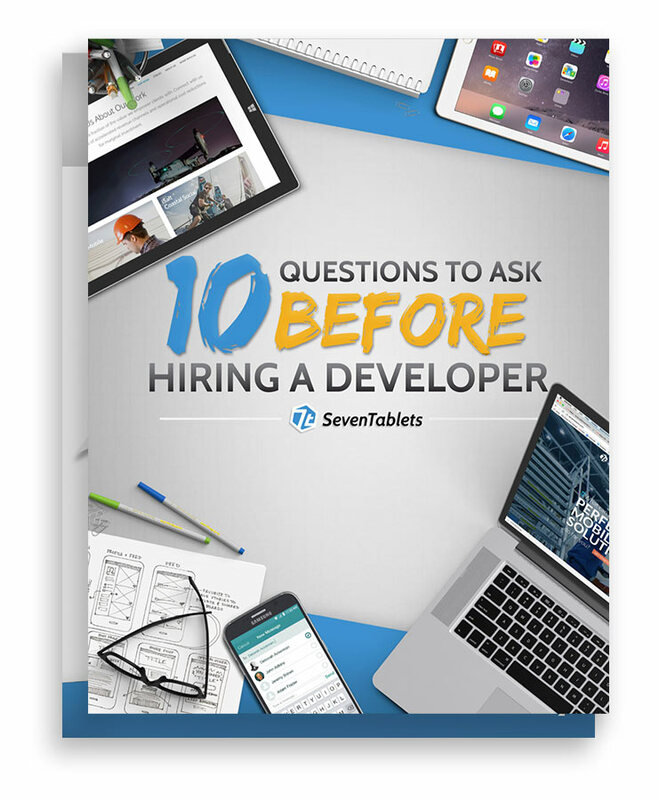 In this eBook you will learn about the cost of mobile development, various development styles and the questions you should be asking to ensure your project succeeds. Getting to know your development partner is critical. SevenTablets is a mobile app development company in Dallas, Texas, that specializes in developing custom mobile apps for iOS and Android in Dallas, Houston, Austin and the greater U.S. We work with your business to increase revenue, reduce costs, and streamline operational efficiencies using B2B and B2C mobile solutions as the catalyst.